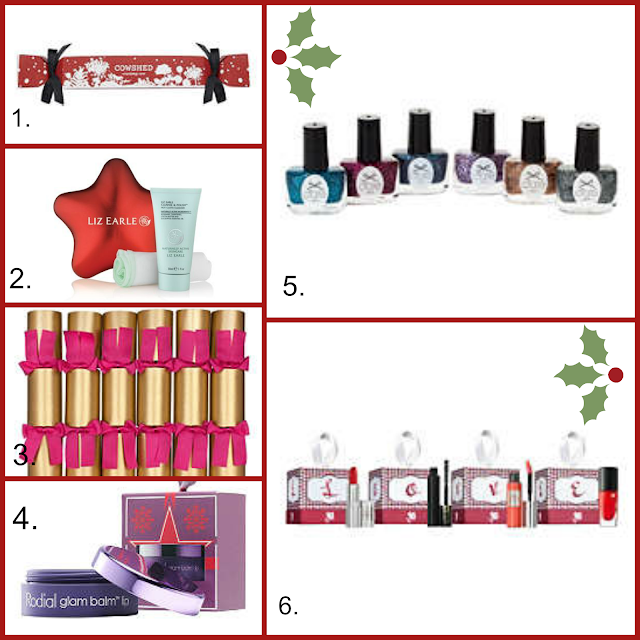 Lou Loves Beauty: Christmas Crackers and Baubles with a Beauty themed twist! Christmas Crackers and Baubles with a Beauty themed twist! I love a gimmick and what better time to embrace them than Christmas! If your looking for stocking fillers or something to make the tree more exciting there are products available that will have you parting with your money in a heart beat! I think this is a fantastic price! You get 30ml of the iconic Hot Cloth Cleanser and Muslin cloth to go with it. I think this will be great as stocking fillers for both men and women, who doesn't want to have great skin? Available from the Liz Earl website. These Christmas star's are also available with a lipstick or nail polish from selected Boots stores. What do you think these festive treats, will they be adorning your table or Christmas tree this year?